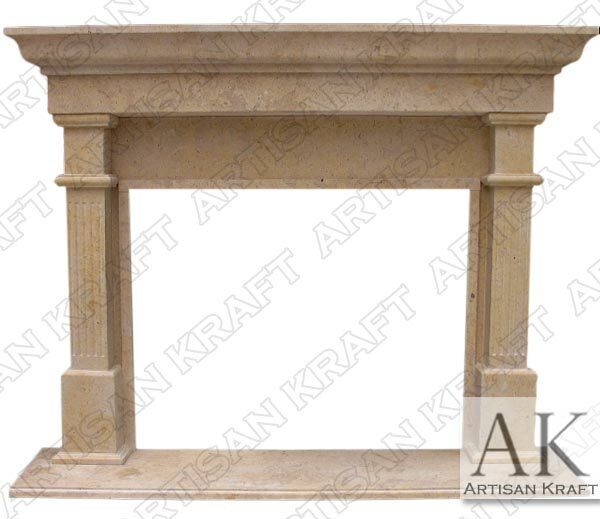 Bradford has two fluted pilasters are on either side of a step mantel shelf. A thick step hearth adds to the solid traditional design. It is pictured here made from cast stone. Our cast stone comes in a selection of colors that can be found by following this link materials. Our man made stone looks like natural limestone because we use real limestone in the actual matrix. Meaning that it is made from real limestone. This is a faux stone that comes in many colors. 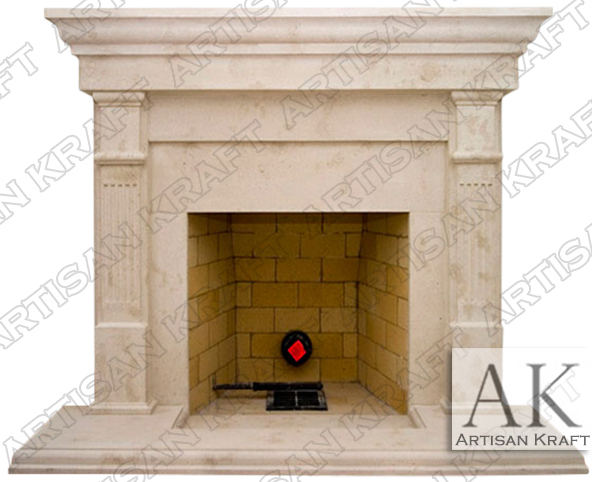 Artisan Kraft fireplace’s can be made from marble and other materials.